Best Tattoo Mehndi Designs – The latest trend of 2019 in mehndi designs is this Tattoo Mehndi design. These tattoo designs with mehndi are followed by many cultures, but with some other perspectives like in medicine, elimination of impurities and in celebrations. 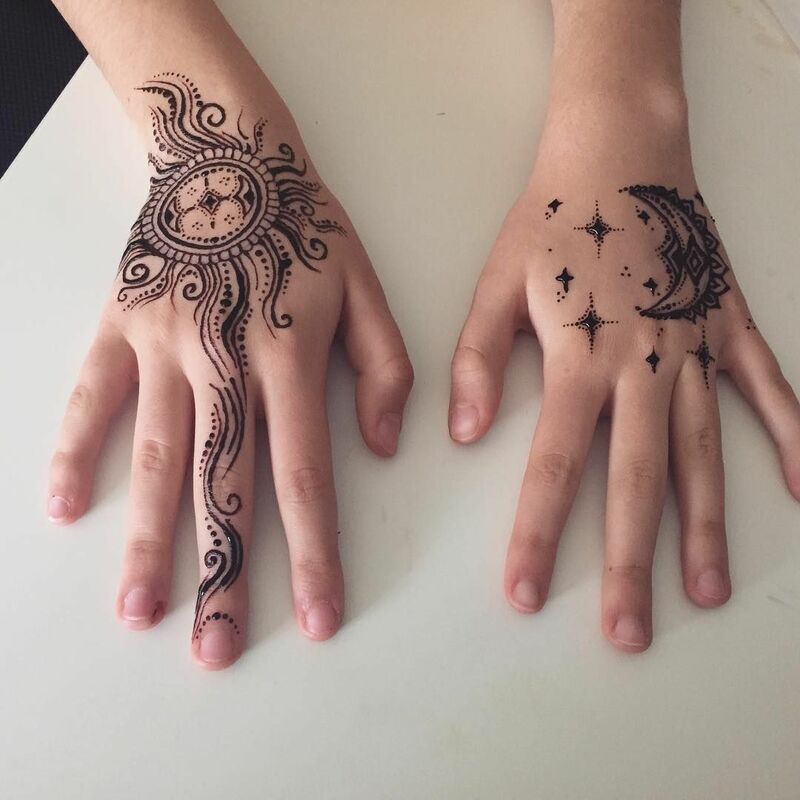 Now, these tattoo designs are getting quite a fame as to look ultra fashionable instead of covering the full body with mehndi designs with respect to festival celebrations just opt for a tattoo design and add more beauty to look. All fame this tattoo mehndi design is getting is only because that many celebrities get mehndi in Tatto design. The tattoo designs with mehndi are more accepted in society as it is not an alien that is injected into the body it main concerns is only on the upper layer of body that is why more and more artists, icons, rock stars, do its applications and lastly the most important benefit is that it is not long lasting if one gets bored out within 2 days of its application can remove it with beach used for whitening. 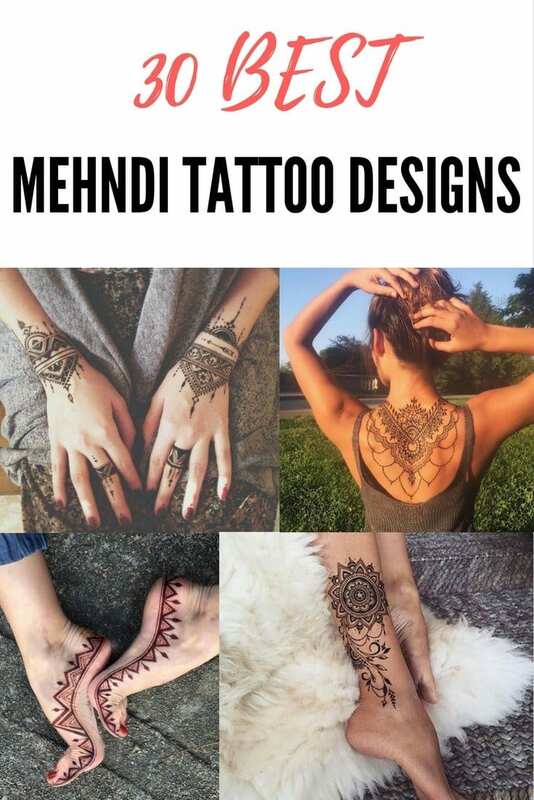 If planning to get tattoo design with mehndi, then make sure that sure you find a person who is professionally skill, have a well know how about to deal with mehndi, to do so whether it’s at a salon or someone that can come to your home. Mehndi is an artistic, form of body art that can bring down a lot of weight, beauty, and happiness in one’s life. Here this articles brings latest 30 Designs to compliments the ultra fashionable look. Temporary – It’s not permanent as long as it is not inked inside, applicated only on the top layer of skin. NO Skin Infections – As long as a good brand mehndi for designing is used the chances of getting skin infection will be low. Quality – Quality matters than quantity, with respect to the color. NO Allergic Reactions – The dyes used in mehndi must be of good quality, therefore, the chances of having any allergic skin reactions, such as an itchy rash reduces. For a modern European look for fingers, the tattoo design in the photo below is the perfect one. This design enhances the beauty of the fingers very well with the European style leavy vines. For formal occasions, one can opt this tattoo design as this design is delicate and will add in one’s outfit. A simple tattoo design on the finger to create a unique look. This is the smallest mehndi tattoo design in the photo below on the corner of the ankle of the foot. Want something simple?. Try this unique design. This tattoo design is stunningly too delicate and intricate, as it sits on one’s backs very elegantly. A perfect stylish look for summers with backless top style. This is a delicate tattoo tikka design for someone looking for a floral tattoo motif on the back. The tattoo design in the photo below is an example of tribal tattoo design that are very famous among men and women. As the black color is the trademark of the tribal tattoo designs therefore almost all tribal tattoo designs are black in color only some designs have other colors mixed with the traditional black color. Just check out below is the best tribal tattoo designs for women for backless stylish tops. These tattoo design mehndi will really make the whole glance pop, and it’s also a fun design. A simple but gorgeous black flower running down from the calf to ankle with spirals look extremely pretty and gorgeous. This particular mehndi design that is artistically designed to make a look of a tattoo, which is why these tattoo designs are getting a lot of fame Asian countries where mehndi very vital part of the culture as they bring more style out and add beauty. The tattoo design in the photo below shows that mehndi in tattoo style is not only worn upon palm and forearms but also on feet. The Tatto design in the photo is symmetrical with regards to the spade style on both, backside of the hand and the top of the foot. An amazing tattoo design for someone who is in search of some serious detailed work on the back side of the palm and arm. This design is time taking as very delicately lines are designed. Most of the work on this tattoo design is done on the arm as that the main part to be focused on but to add more beauty in the hands not going traditional but trendy in the design with regards of the fingers deigned as midi style. The tattoo design in the photo below on the wrist is a perfect way of representing the Chinese cultural norms. This symbol in Chinese philosophy, yin, and yang literal meanings are “dark-bright”, “negative-positive” describe how seemingly opposite or contrary forces may actually be complementary, interconnected, and interdependent in the natural world, and how they may give rise to each other as they interrelate to one another. The photo below is the tattoo design that is patterned with a lot of care and detail. It’s one of my favorite because it’s so artistic and beautiful. This tattoo design that’s a fertility tree is often given as a blessing to future fertility. In the photo below, the woman has the tree of life tattoo design with mehndi on her calf. Want a permanent look?. Try out this tattoo design as normally less water contact in involved on upper arms. This tattoo design takes up the thigh with flowing florals with spirals. Alert for short lovers, they can have this tattoo design and enhance the beauty of legs with that will look immensely stylish. This design has been a symbolic representation of a good fortune and wishing away bad fortune. It’s a great tattoo design for the back side of the palm which keeps the look as a fashionable dreamer. Do let us know what you think of our collection and what else you would like to see.